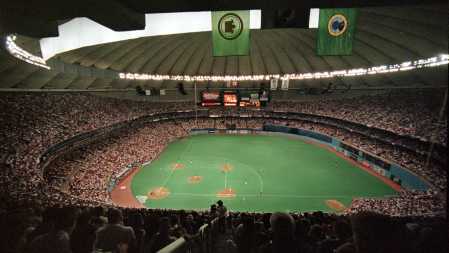 Home to the Mariners for 22 seasons, few Mariners fans were sad to see the Kingdome imploded in 2000. 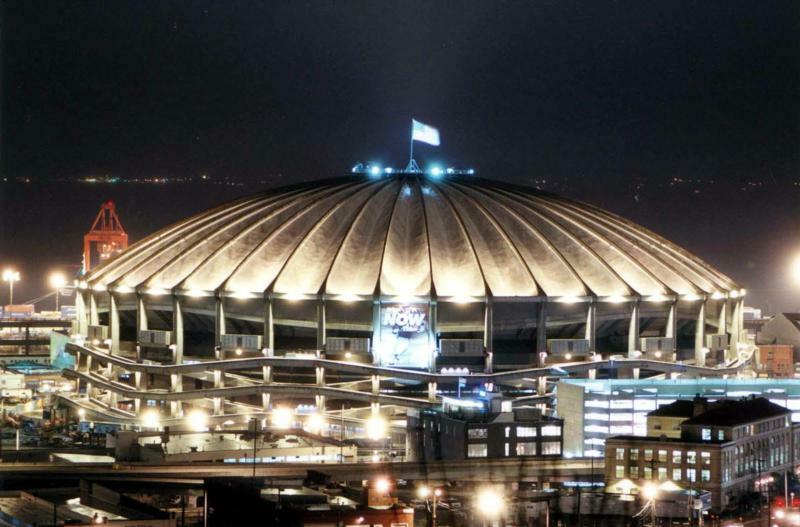 Before the Mariners franchise began playing baseball in 1977, MLB awarded Seattle a franchise in 1969, the Seattle Pilots, who played at Sicks StadiumSicks Stadium. However that franchise was bought by the Milwaukee Brewers Inc. and moved to Milwaukee for the 1970 season. 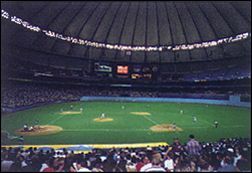 Talk of a dome stadium first began in the 1960s. 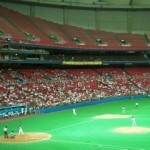 The main problem was the location that the stadium was going to be built. 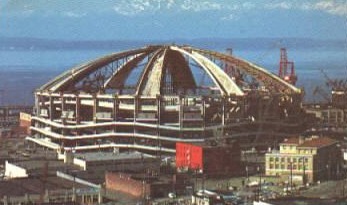 By 1972, a site for the dome stadium in downtown Seattle was chosen to build on. 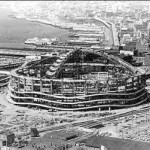 Construction began soon after and the dome was completed by March 1976. 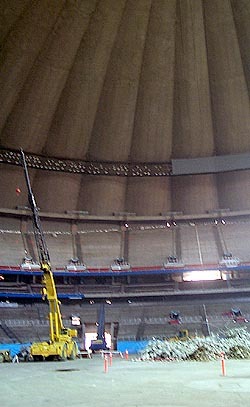 The stadium was named the Kingdome because of its location in King County, Washington. 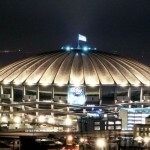 Once again, MLB award Seattle franchise, this time the team was named the Seattle Mariners. 50 homeruns by Ken Griffey Jr. in 1997 and 1998. Cy Young winner Randy Johnson in 1995. Designated Hitter Edgar Martinez wins batting title in 1992 and 1995. 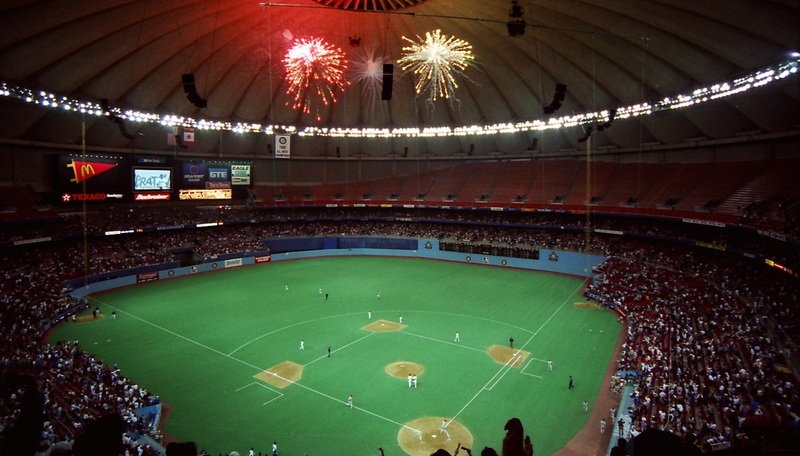 Opening day came on April 6, 1977 as over 57,000 fans filled the Kingdome. 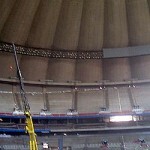 The Kingdome consisted of a three tier grandstand. 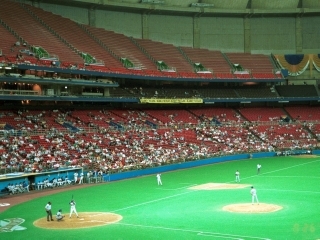 The upper deck extended from the left field foul pole to home plate and around to right center field and the first and second decks circled the entire stadium. 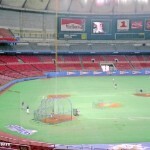 The Kingdome was home to football, baseball, basketball, soccer and many other events during its existence. The right field wall was 23 feet high and named the ‘walla-walla.’ A score/video board was located above the seats in left field. 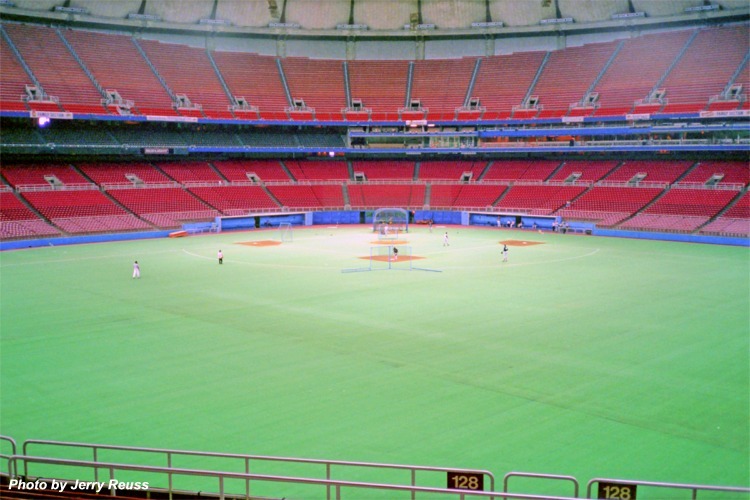 The roof was 250 feet at its highest point above the Astroturf playing surface. Several speakers that were in play, dangled considerably lower and were hit numerous times buy both fair and foul balls. 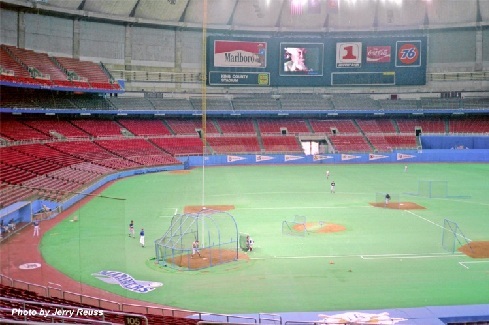 Very few changes took place at the Kingdome over the years. 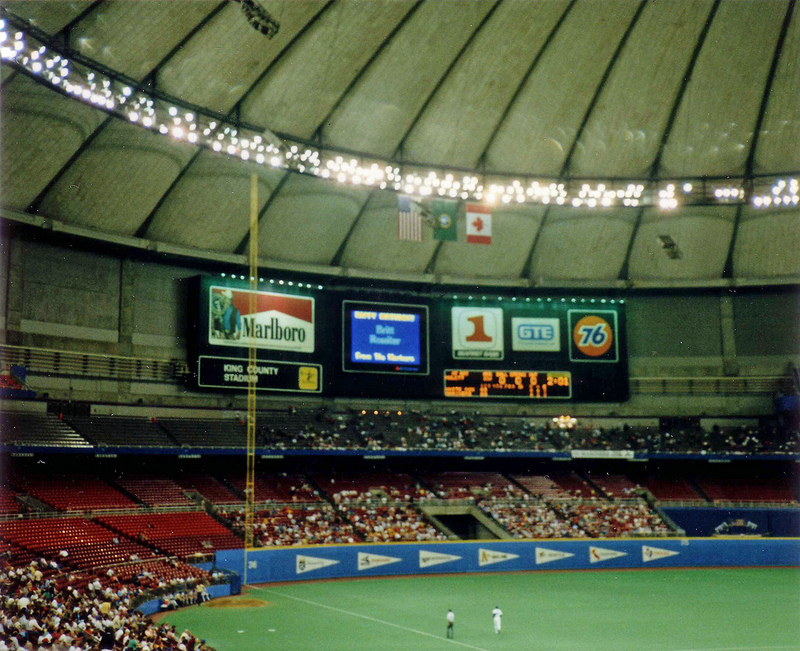 In 1990, an out of town scoreboard was incorporated as part of the right field wall. 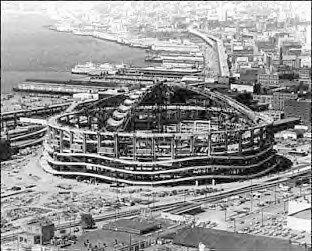 Hardly anyone liked the ugly concrete Kingdome. 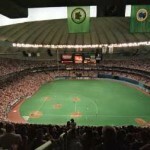 By the early 1990s the Mariners began lobbying to build a new stadium. 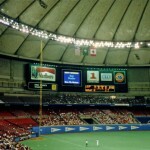 In 1994, several tiles from the Kingdome’s roof fell causing the team to play elsewhere. 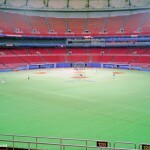 By 1997, ground was broken for a new ballpark, Safeco Field. 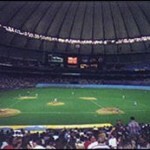 The last Mariners game at the Kingdome was on July 27, 1999. 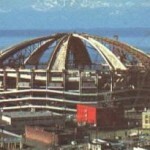 The Seattle Seahawks (NFL), continued to play there until the end of the 1999 NFL season. 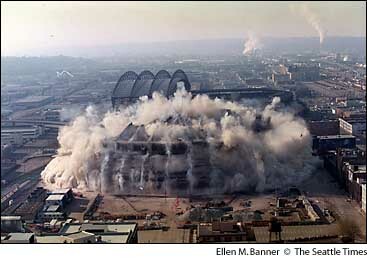 On March 26, 2000 the Kingdome was imploded. 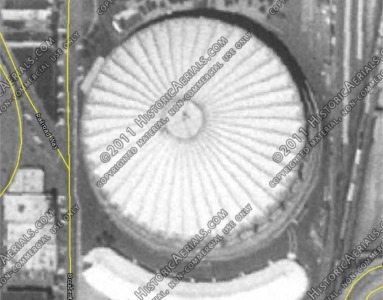 The Seattle Seahawks stadium, CenturyLink Field is located on the site where the Kingdome was located. 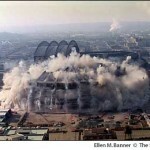 – Location: Site of the Seattle Seahawks home, CenturyLink Field.